for $139,000 with 2 bedrooms and 1 full bath, 1 half bath. This 1,355 square foot home was built in 1978 on a lot size of 8248.00 Sqft. 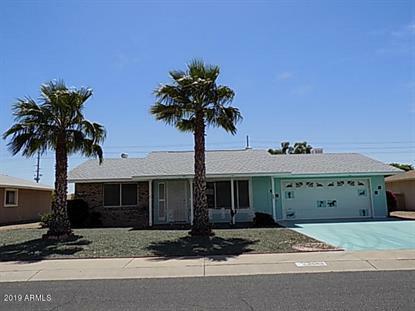 This 55 + community HUD home, is a great find in a quiet neighborhood of beautiful Sun City. 2 bedrooms, 1.5 baths. lot of golf courses , plain canvas for a beautiful home. A very well maintained home that experienced only light use. Potential purchasers must make an appointment with a Real Estate Agent/Broker of their choice in order to view a property active on the market. The data relating to real estate for sale on this web site comes in part from the Internet Data Exchange Program of the Arizona Regional Multiple Listing Service, Inc. Real Estate listings held by brokerage firms (licensees) other than Weichert Realtors are marked with the ARMLS logo and detailed information about them includes the name of the listing brokers.